Dr. Charles Zaloudek is a pathologist from San Francisco, California. He has been practicing medicine for more than 30 years. Dr. Zaloudek is a board-certified practitioner in anatomic pathology and he graduated from the Johns Hopkins University School of Medicine in 1971. 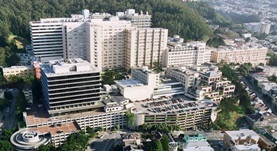 He completed two residency stages in anatomic and clinical pathology at the Stanford Hospitals and Clinics and the University of Texas MD Anderson Cancer Center. Dr. Charles Zaloudek is also an active researcher. He contributed to multiple publications. Some of the subjects he covered in his studies are uterus epithelioid trophoblastic tumor, deep myometrial invasion in endometrial cancer patients, tubal high-grade serous carcinoma, hereditary breast and ovarian cancer syndrome, ovarian endometrioid carcinoma, synchronous ovarian granulosa cell tumor, inflammatory myofibroblastic tumor of the uterus, Human placental vascular development, congenital teratoma, minimal uterine serous carcinoma. 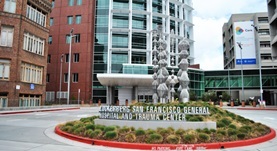 Dr. Zaloudek currently collaborates with the UCSF Medical Center and the San Francisco General Hospital and Trauma Center. Dr. Charles Zaloudek has contributed to 2 publications. Rabban, J. T.,Vohra, P.,Zaloudek, C. J.; Am. J. Surg. Pathol.. 2014 Jul 16.